Biscoff Spread + Crescent Rounds = YUM! 1. Open and unroll the Crescent Rounds. 2. 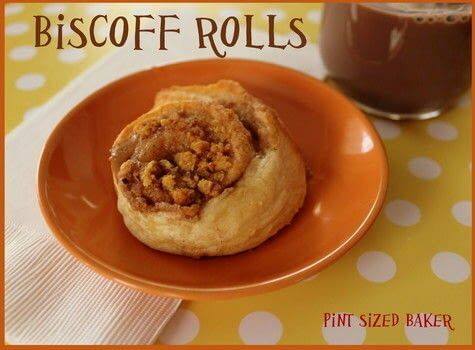 Spread the Biscoff on and roll them back up. 3. Melt the butter and stir in some brown sugar. 4. 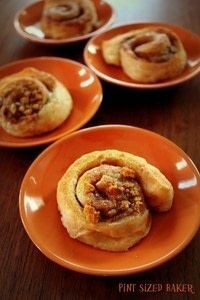 Spoon some of the butter mixture over the Rolls and sprinkle on some cookie crumbs or graham crackers. 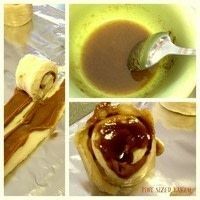 Bake at 350 for 12 - 15 minutes, or as directed on the crescent roll package. Eat warm and Enjoy! If there is any left for the nest day, they make for a decadent breakfast.